Late last year, the three-story office building at 98 E. Lake Mead Parkway, in Henderson, had seen better days. The building long known as the St. Rose Dominican Medical Plaza floundered at a near 10 percent occupancy rate. It’s a different story today, however, as new ownership is embracing the area’s revitalization efforts and marketing to a new and diverse tenant mix. Late last year, the three-story office building at 98 E. Lake Mead Parkway in Henderson had seen better days. 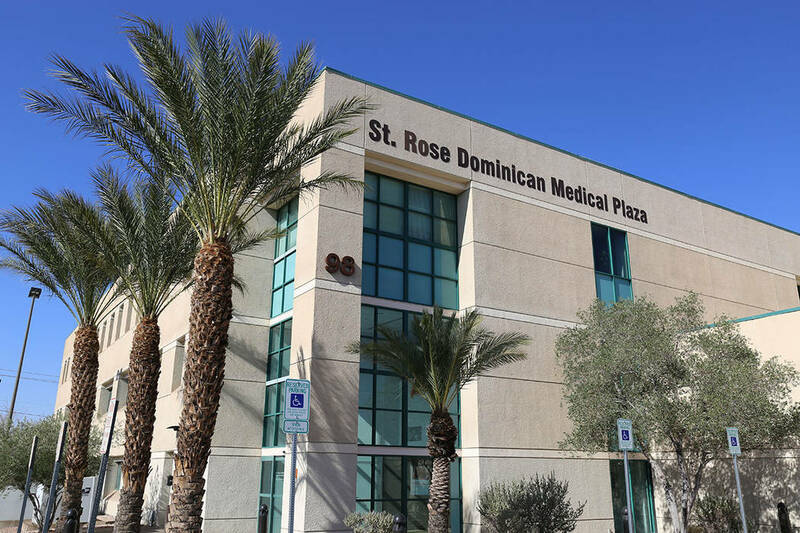 The building long known as the St. Rose Dominican Medical Plaza floundered at a near 10 percent occupancy rate. It’s a different story today, however, as new ownership is embracing the area’s revitalization efforts and marketing to a new and diverse tenant mix. Occupancy has climbed above 50 percent and interest is growing. “The site has a lot of medical tenants now, but there’s opportunity for many other types of businesses there,” said the property’s listing agent, David Houle of KW Commercial. The property at the corner of Lake Mead Parkway and Boulder Highway is also seeing a boost from area growth in the nearby 2,200-acre Cadence, a Henderson master-planned community, ranked as one of the top sellers in the country. At full build-out Cadence will have more than 13,000 homes, 450 acres of open space, trails and recreational facilities. The building also enjoys plenty of nearby grocery and department stores within walking distance. Shirley Holdeman is the owner of Bamboo Sunrise, a foster care agency. Starting in June, her company will house administrative offices and also run a pediatric clinic at the building. Holdeman said she liked the location, but also appreciated how well-maintained the building is. Other tenants at 98 E. Lake Mead Parkway include Dignity Health’s WIC Outreach clinic, Nevada Health Centers and Pain Center of Henderson. Available spaces range from 1,040 square feet to 4,390 square feet. The spaces are divided, but some can be merged as contiguous offices, if needed. The more than 41,000-square-foot building is adjacent to Henderson’s St. Rose Transition Area, which also brings the opportunity for tenants to take advantage of city grants from the Henderson Redevelopment Agency to offset some tenant improvement costs. The building’s revival comes at a time of increasing commercial real estate bullishness, stemming from the multibillion-dollar Strip corridor and other developments in the city. Some of those projects include: the Las Vegas Convention Center expansion, the Raiders’ domed stadium project, Wynn Resorts’ Paradise Park and Resorts World Las Vegas on the northern end of the Strip. Office vacancy rates are dropping, as the city absorbed 1.3 million square feet in 2017, 14 percent more than in 2016, according to economic research firm, Applied Analysis. To learn more about 98 E. Lake Mead Parkway, contact David Houle at 702-273-7377.